When Texas A&M University applied this spring to host a 2016 presidential debate, school leaders saw it as an opportunity to increase publicity for their school and expose students to a vital part of the political process. But during the site review process, officials began to see the situation differently. Hosting the debate would likely cost A&M between $3 and $4 million — and possibly as much as $6 million. And no matter the site, the candidates on stage would likely speak critically about the rising cost of a college education. “We had to ask ourselves, ‘Is that the best way to spend that money?’ ” said school spokesman Shane Hinckley. This week, the school decided the answer was no. On Monday, university President Michael K. Young wrote a letter to the committee in charge of picking a location and withdrew A&M’s candidacy. “My leadership team and I have reassessed our ability to host the debate and determined the university would be unable to do so without significant disruption to our mission and ongoing activities,” Young wrote. The school had been one of 16 locations vying to host a general election debate. Usually, there are three presidential debates during campaign season, plus one between vice presidential candidates. 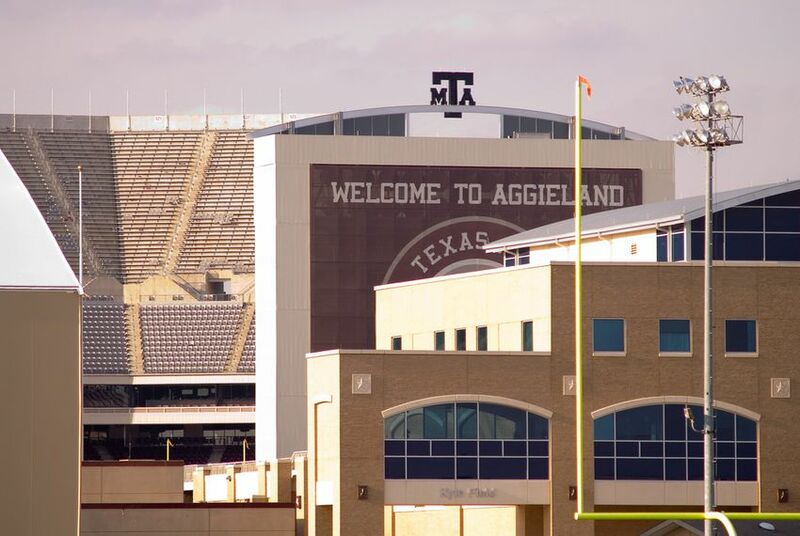 On its application, A&M touted its ability to host big events — namely college football games. The area has enough hotel rooms, and the bid enjoyed support from the city councils of College Station and neighboring Bryan, officials said in March. But the application was submitted before Young took over as A&M president. Hinckley said Young eventually waved the red flag about the event. The money required to put it on would pay for as many as 750 student scholarships, Hinckley said. “We could take that money and invest it in other initiatives,” he said. Debates also attract massive amounts of media, and are scheduled in the fall when classes are underway. A&M has ties to two candidates currently in the race. Former Texas Gov. Rick Perry is a graduate of the school. And former President George H.W. Bush, father of candidate and former Florida Gov. Jeb Bush, has his presidential library on campus. But it's unclear whether either of them will make it that far in the race. Two other Texas sites have applied to be hosts, the city of McAllen and Houston Community College. The selection will be made by the Commission on Presidential Debates, a nonprofit organization that is unaffiliated with the federal government. *Clarification: A previous version of this article identified the Commission on Presidential Debates as a private group. It is a nonprofit organization that is unaffiliated with the federal government.